Workers at several Ministry of Public Security agencies, including the Guyana Prison Service and the Customs Anti-Narcotics Unit (CANU), will not be paid on time for October because there is no cash, a senior official confirmed Wednesday. “We are working around the clock with the Ministry of Finance to ensure the workers are paid,” the official told Demerara Waves Online News. The Guyana Police Force will not be affected. A circular from the Permanent Secretary to Heads of Programmes dated October 22, 2018 “regrettably” informed them that there is a delay in the payment of salaries for the month of October, 2018 due to insufficient funds as a result of new appointments. The Ministry is working with the Ministry of Finance to ensure salaries are paid at the earliest possible time”. The Director of Prisons, Gladwin Samuels declined to comment on the matter and the Chief Fire Officer of the Guyana Fire Service, Marlon Gentle said he did not receive the circular. Fire fighters were expecting salaries last Monday. 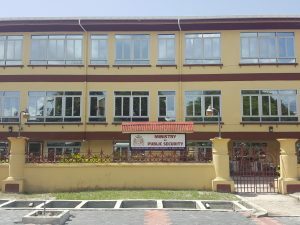 Other agencies, whose staff will be affected by the delay in salaries, are the Guyana Forensic Laboratory, Juvenile Holding Centre, and the Police Complaints Authority.